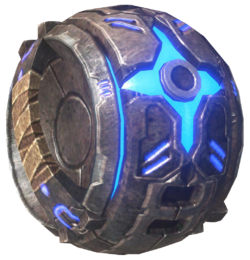 The power drain is a combat support device which was used by the Covenant's Jiralhanae forces. It created a short-range electromagnetic pulse (EMP) effect, which interfered with all electronic equipment within the radius of the pulse. It was primarily designed to interfere with common varieties of energy shielding and the electrical components of vehicles. After a short time, the device would overheat and explode, which could wound or kill combatants in its resulting explosion. The electricity it produced could also cause significant harm to unshielded biological targets. Power drains saw usage by Jiralhanae during the last few months of the Human-Covenant War, both during the Battle of Mombasa and the Battle of Installation 00. Once thrown, the power drain takes 0.5 seconds to activate, and subsequently lasts 6.5 seconds, equaling a total of 7 seconds. The power drain, radar jammer, and flare are all visually identical save for the color of the glow each item emits. 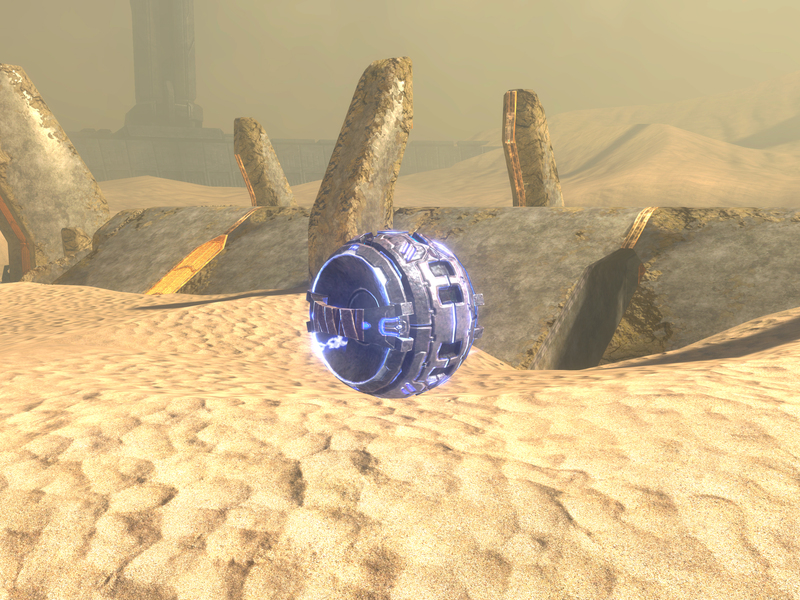 The effects of the power drain pass through walls and floors, so simply fleeing to the bottom floor of a structure after an enemy activates one will still strip one's shields if one passes through the field. This is most noticeable on maps like Guardian. The power drain can be used in a glitch called Equipment Jumping by moving against a wall, jumping, and then at highest point of the jump deploying the power drain. This allows a player to jump off of it in mid-air. This is a great tactic for reaching high areas of a map, such as the second level of the tower on The Pit. This can also be done with the radar jammer and flare; however, the power drain variation of the glitch can only be performed as an Elite. In Halo 3: ODST, when the player is in the radius of a power drain, his or her health will drain in addition to their shields. The power drain icon in Halo 3. An inactive power drain in Halo 3. An inactive power drain in Halo 3 beta. A deployed power drain, about to activate itself. The power drain emits a field of blue radiation that strips away all energy shielding within its range.